A change in temperature is always an excuse to head to the shops, although with spring fashion i usually end up either sweating or freezing, the current additions to the shops have me really excited. These are my picks for the current season, basically things i just reallly realllly want. 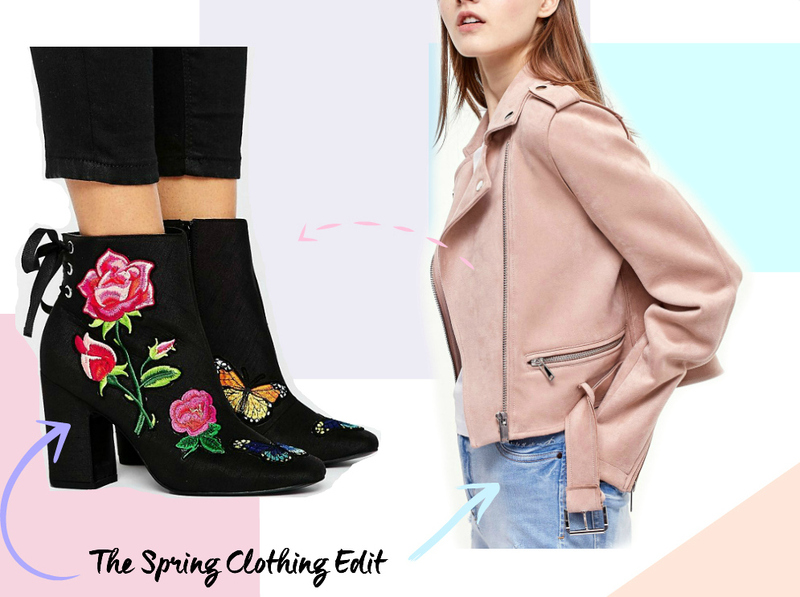 From blush pink, tiny detailed t-shirts to flowing florals these are my picks from Asos, Topshop, Stradivarius, New Look, Forever21 and Missguided to get you inspired for the coming season. Follow me on INSTAGRAM / TWITTER / BLOGLOVIN. How beautiful is that pink leather jacket, love it! Lovely style picks. SO dreamy! I am in LOVE with everything!!! omg all your picks are to die for, all the embroidery is so cute!! and that lace bralette from F21!! Love the peach jumper from Missguided!